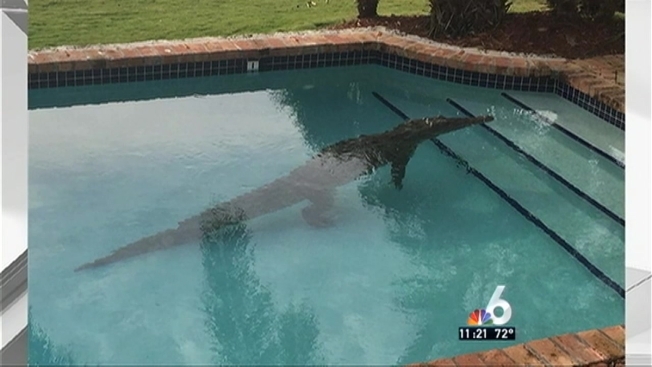 A homeowner in Lower Matecumbe Key had quite the surprise Thursday morning when an uninvited guest turned up in the pool: a live crocodile. The homeowner, who lives near mile marker 77, called the Monroe Sheriff’s Office and asked for help removing the 8-foot croc. Florida Fish and Wildlife officials responded to the scene to help. Florida Fish and Wildlife Conservation Commission officials said the croc got out of the pool and returned to its natural habitat. It’s still unclear how the crocodile got into the pool.